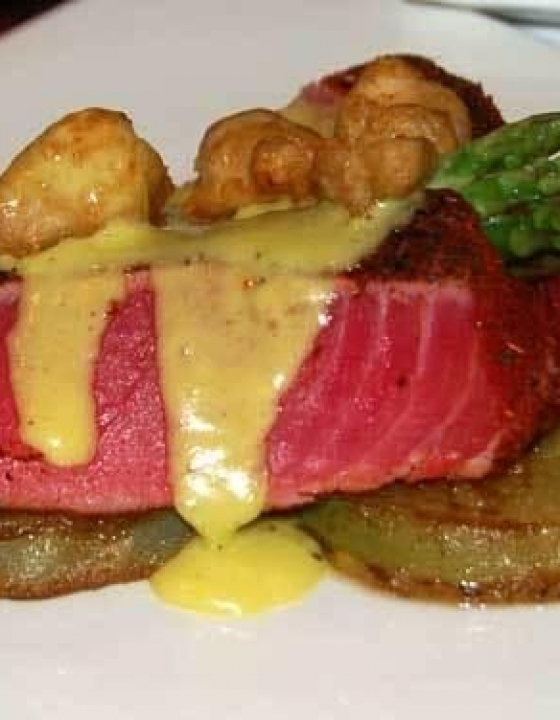 Walt Disney World resort has 3 dinner shows. 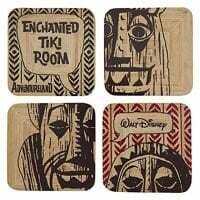 One of these dinner shows is a Hawaiian luau called Spirit of Aloha Dinner Show at the Polynesian resort. This luau performs Tuesday through Saturday at the Luau cove located in the Polynesian resort. The Spirit of Aloha Dinner Show is presented twice nightly at Luau Cove. This is an all-you-care-to-eat, family-style luau featuring hula dancing and a fire-knife performer. Because the nature of this dinner show, it is an open-air covered dining theater. Barbequed pork ribs, roast chicken, fresh pineapple, salad with mango poppy seed dressing garnished with Mandarin oranges, Polynesian-style rice, and seasonal vegetables. Save room for the chocolate “”mouse”” volcano! 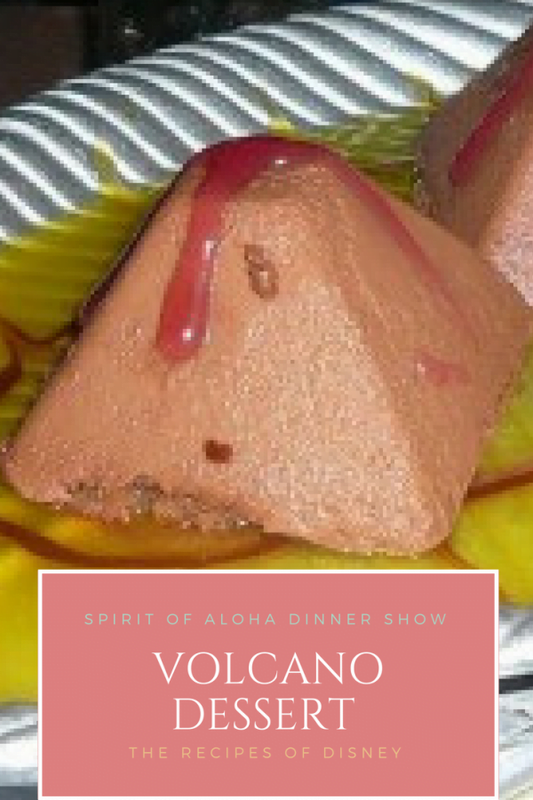 The chocolate “”mouse”” volcano, has been retired from the Spirit of Aloha Dinner Show menu. 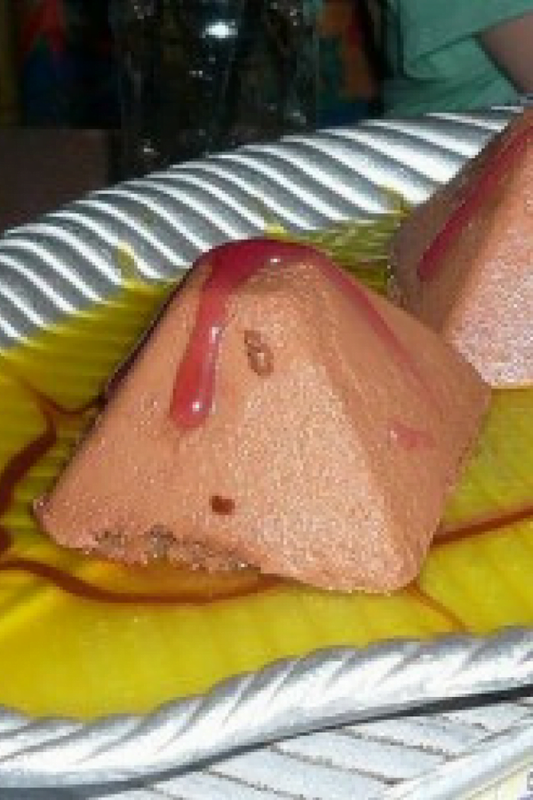 This volcano dessert was a chocolate mousse in a pyramid shape that was streaming with raspberry sauce. It was a chocolate lovers delight! This chocolate volcano is no longer served up at the Polynesian’s Luau. 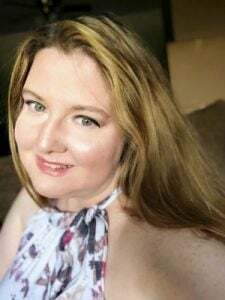 Hopefully one day Disney will bring back this popular dessert, but I do have a collection of old retro Disney recipes, like this luau volcano dessert to share with you. 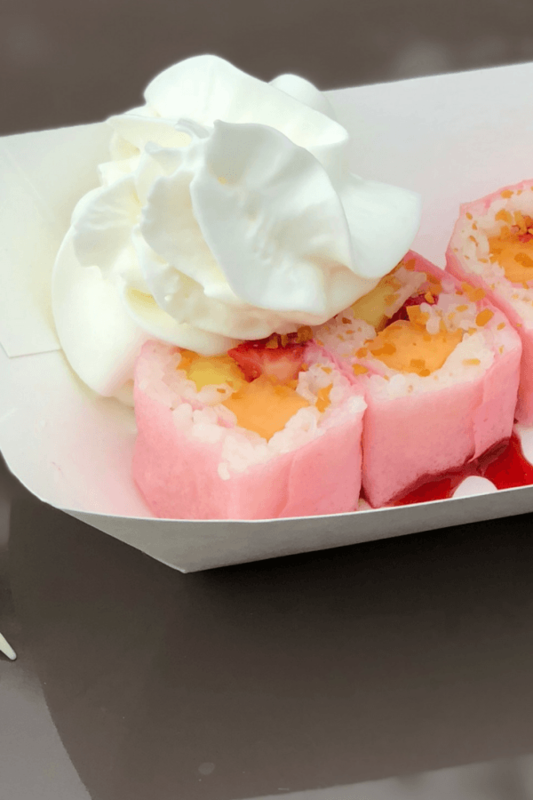 Did you have this mousse dessert at the Spirit of Aloha Dinner Show? Did you enjoy it? 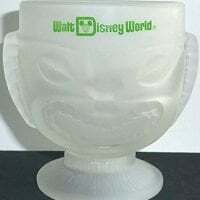 Would you want Walt Disney World to bring it back? Let’s talk about it in the comments! 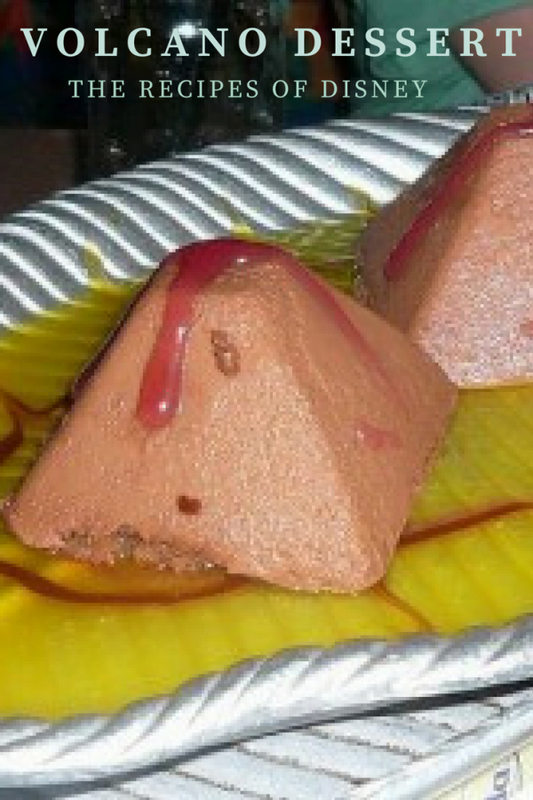 This volcano dessert was a chocolate mousse in a pyramid shape that was streaming with raspberry sauce. Whip egg yolks with sugar until creamy texture. Puree tropical fruits and mix with egg mixture. Whip heavy cream until a creamy consistency, but not quite firm and fold into batch. Pour into small molds and freeze until completely frozen. Turn over the frozen molds onto a serving platter and dust with cocoa powder.